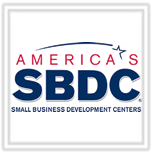 March 11, 2019 - SBDC Day recognizes the success and effect of Small Business Development Centers (SBDCs) for small businesses and economic development. Approximately 1,000 SBDCs in the country will share their success stories through social media, public relations initiatives, and several events in-person and online. This year’s SBDC Day will be on Wednesday, March 20, 2019. Click here for more information. February 18, 2019 - Workforce professionals and service providers will have the opportunity to learn the basics for different apprenticeship models and how best to take advantage of these opportunities in Illinois. These workshops are free of charge. Read more about the series here.